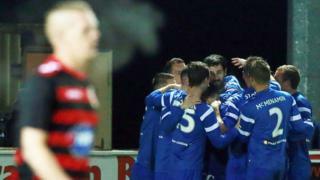 A Ryan Campbell goal sees Ballinamallard beat Coleraine 1-0 and move off the bottom of the Irish Premiership table. Both sides had chances to secure the points from an entertaining contest. It was just a second league win of the season for Whitey Anderson's men.